Super Image Viewer takes a simple image viewer several steps further. 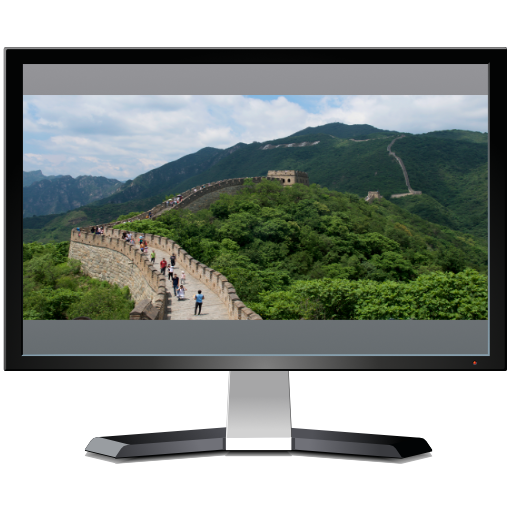 It shows your images full screen, on the monitor of your choice, and lets you step through them. It’s great for presentatons—the best way to view your images. It’s fast, supports more the 50 image formats, and searches for images on whole volumes and in nested folders. It has a simple drag and drop interface. A low-cost in-app purchase lets you execute automatic slide shows and adds lots of other great features. What can Super Image Viewer Do? Fast. Always expands the image to the full screen of your display. Supports the more than 50 image formats that Apple supports, such as .jpg, .png, .pdf, .psd, and all sorts of RAW formats. Just drag a folder full of images and other stuff onto Super Image Viewer, and it finds all the images. Drag to rearrange your folders. Options for setting the sort order, background color, and where to start off. Your options and last position are remembered. A low-cost in-app purchase adds automatic slide shows, dissolves, separate preferences for each folder and more. It’s professionally developed by NP Associates, LLC, so it won’t let you down.